This is a sentiment that many young people in the UK, and the world over, should be embracing. We are appealing for witnesses after an 84-year-old man was assaulted and then robbed in his own home by three men in Hazelton Way, Cowplain at around 6pm yesterday, January 13. It has been reported that one man entered his house by breaking in the back door while he was in his lounge watching television and sleeping. The man has then tried to confuse the elderly gentleman by telling him to look at the damage and asking for £50. Two other men then arrive and assault the elderly man, knocking him to the floor, before stealing his wallet. Detective Constable Barry Martin from the Eastern Investigations Team said: “We are appealing to anyone who saw these males in the vicinity of Hazelton Way on Wednesday or anyone who recognises these descriptions. Someone out there knows this animal. Judge Peter Bowers has given the victims of burglars across the country a huge slap in the face with his comments, made during the trial of Richard Rochford. It takes a huge amount of courage as far as I can see for someone to burgle somebody’s house. I wouldn’t have the nerve. How out of touch is this idiot. Just ask anyone who has returned home or awoken to find their home has been the target of a burglar. Ask them about their feelings. I am sure they will tell you about violation and desecration of their homes. I am pretty sure you will not find anyone to praise the courage of the burglar. The judge’s job is to oversee and administer the law, to ensure that justice is done. What the victims of crime want is to see that justice is done. Praising the criminals for their courage does not show justice at work. Rochford stole a wallet containing £500 of life savings when he raided the home of retired shipyard worker John Hopper, 73, and wife Vera, 71. Daughter Sharon Hopper, 40, said: ‘I can’t believe what the judge said. What really took courage was my parents having to continue living in their house after he had invaded their privacy. Judge Bowers has made contradictory statements when passing down sentence on other burglars. In May, he criticised sentencing guidelines that let first-time burglars escape with a ‘slap across the wrist’. I think he, Judge Bowers, is getting soft in his old age. He has been a judge for over twenty years and I think it is time for him, at the age of 67, to stand down. He has lost his sense of perspective and he is not serving the British public as they should be served. I’m plagiarising the whole article from the news in order to help spread the word. We don’t need this sort of activity in Waterlooville. 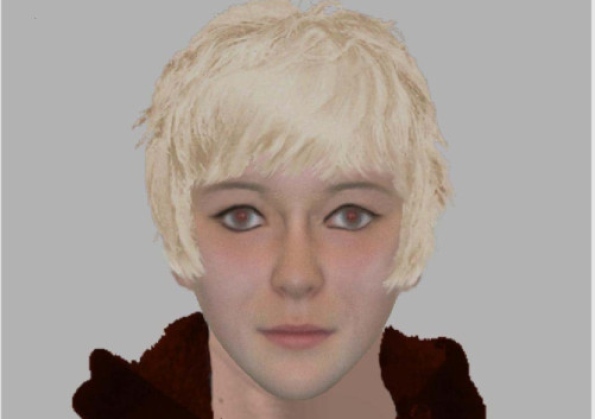 POLICE have released an e-fit image of a teenage girl they want to speak to about an attack on a couple in Waterlooville. An 18-year-old man was walking with woman through an alleyway from Stakes Hill Road to Purbrook Way when he was sprayed in the face by a teenage boy who was passing by with a teenage girl. Some of the spray also went in the woman’s face. The girl is white, about 18 and has a boyish pixie haircut with dyed blonde hair. She was on a bicycle. Police want to contact girl about Waterlooville attack – Local – Portsmouth News. A fifth of city youth crime is carried out by just six children – Why Aren’t They Locked Up ? If the authorities know that 20% of the youth crime in Portsmouth is committed by just 6 children why are they still out on the streets ? Instead of trying to redirect the little darlings, which costs money and leaves them on the streets to continue committing crime, why don’t we lock them up ? It’s already costing Joe Public money to chase them down and persuade them of the error of their ways so lets just cut our losses. Lock them up. The shop keepers and their other victims will be able to relax. The reduction in shoplifting will allow the insurance premiums to come down and we will have cheaper goods to buy. Seems like a win win situation. ‘A fifth of city youth crime is carried out by just six children – our job is to turn their lives around’ – Lifestyle – The News.